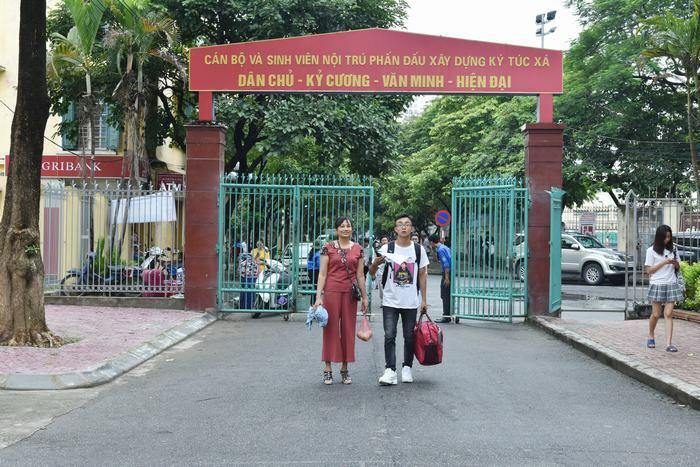 Hanoi National University of Education conducted admission for nearly 2000 freshmen. 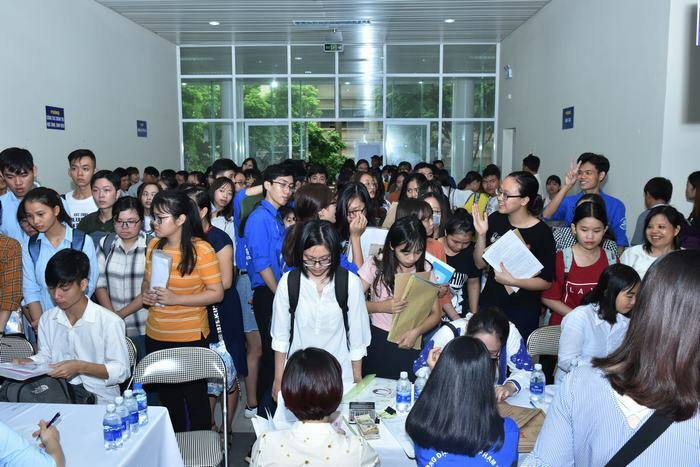 On August 16, 2018, Hanoi National University of Education conducted admission for K68 students. The event took place in the Hall of 11/10. From the early morning, the atmosphere at the Hall of 11/10 was very bustling. Many parents were busy taking their children to school for admission. Understanding the thoughts and wishes of the parents, the university leaders have directed the faculties and some related departments to welcome freshmen from the reception. Students are provided with the best conditions to finish the admission procedures. 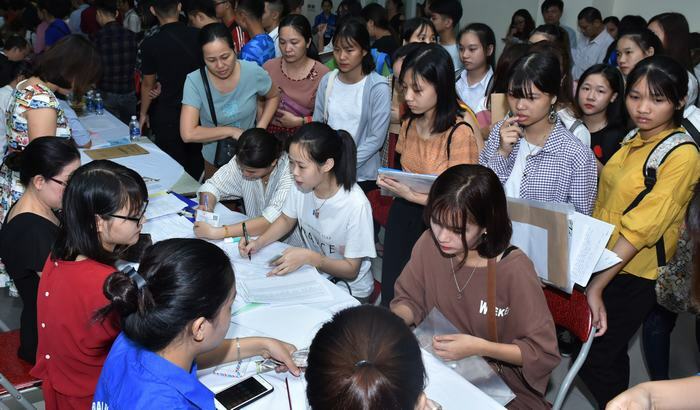 Also, the support and reception for new students was also enthusiastically instructed and assisted by volunteers from Youth Union, the Students' Union and the Union of Students. At 11:30 am on the same day, most of the faculties have completed admission procedures for students who reached in the morning. In the afternoon of the same day, the school continued to welcome the remaining students. According to our observation, though surprised, even anxious, the parents are full of joy due to their children’s turning point to become a student whereas the freshmen felt eager and proud. Talking with us, a freshman said "... I am still overwhelmed with the joy of being a pre-service teacher. And there is a little bit of anxiety because of not knowing what my study will look like. I have heard from the older that studying in the university will be very different from that of high school ... " This is probably the same feeling and thought of many freshmen. 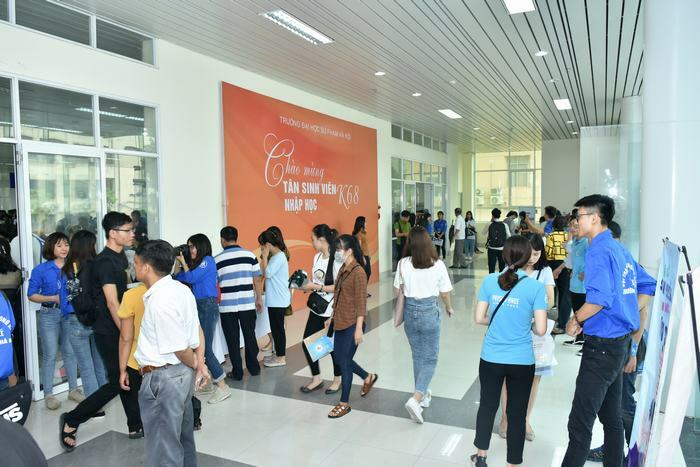 However, with the meticulous guidance and dedication of the staff, lecturers and students of previous courses of the university, surely these worries of new students will not be a concern. .
Congratulations on K68 students to join Hanoi National University!